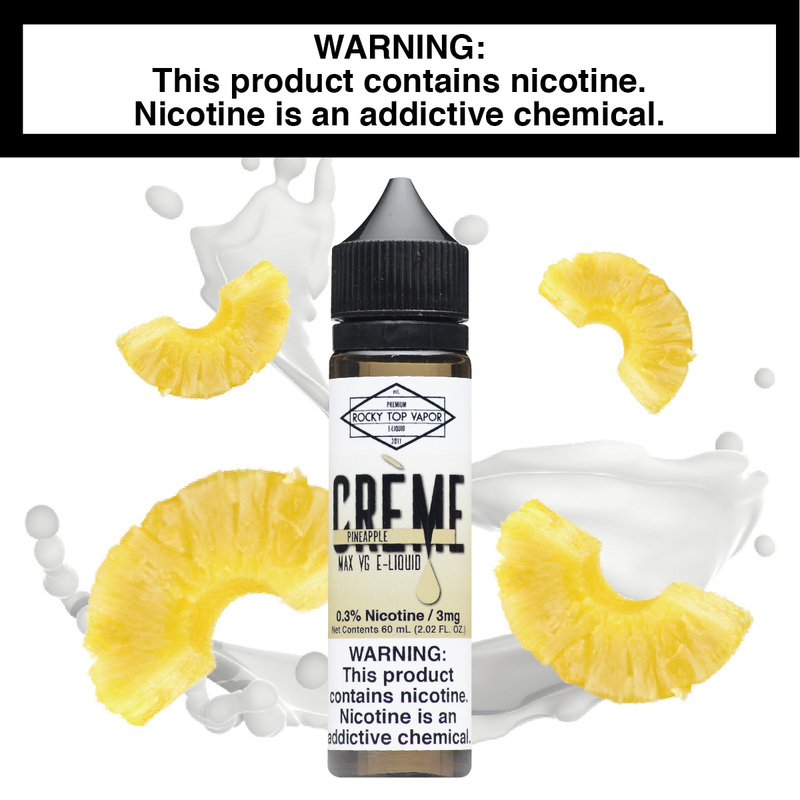 Pineapple Creme - Creme E-Liquid Pineapple Creme - Fresh and tangy pineapple blended with our signature cream base. No pokey skin or sharp leaves here. 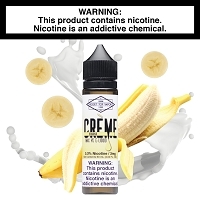 Pineapple Creme - Fresh and tangy pineapple blended with our signature cream base. No pokey skin or sharp leaves here. I received my first bottle today, I love it. 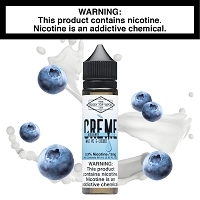 Very good vape, perfect blend of not too sweet, yet, still sweet...It reminds me of a pineapple upside down cake. 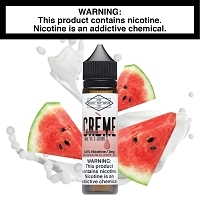 This juice is excellent!! Clear pineapple taste but not too strong or over powering. I ordered one bottle to try it out, knowing that I like most pineapple Vapes. I liked it sooooo much that, before finishing my first bottle, I ordered two more! This juice is in my top five list of faves!!! Thank you guys for an amazing product! !